Rather than picking up another self-improvement, personal growth book--I thought I would try something a little different. In The Greatest Prospector in the World, author Ken Dunn teaches 6 business/sales prospecting rules within the pages of a historical fiction novel. What was my review of The Greatest Prospector in the World? I received a complimentary copy of this book for use in my review. All opinions are my own. Readers may also enter to win a copy of the book at the end of this post in the iRead Book Tour Giveaway. Quick Summary of The Greatest Prospector in the World. Laura Dunagan, was born in the gold prospecting days of rustic Alaska in the early 1900's. When Laura was 14 years old, her father was trapped under a mudslide while prospecting in a nearby river and died. Laura was forced to move to Chicago in the care of her rich Uncle Joe. Laura hated Uncle Joe because he forced her to leave the river, but also because he had left the family prospecting business to move to Chicago years before she was born. Laura discovers that Uncle Joe made his fortune selling insurance and was the owner of the largest insurance company in Illinois. While wandering through the mansion one day, she found Uncle's Joe personal den. In it, she discovered an entire new life that would lead her to heights that she would never had realized panning for gold in Alaska. 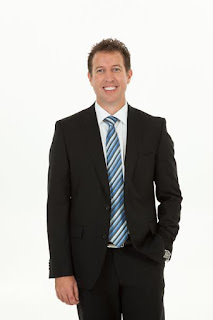 Uncle Joe used the 6 gold prospecting rules for safety to prospect new clients for his insurance company and in doing so, discovered the secrets to wealth in selling. The Greatest Prospector in the World offers real world application of basic principles. Dunn takes some sales basics--and illustrates their application across industries and time with his creative teaching approach in this book. Rather than being another "help me become a better salesperson" book--The Greatest Prospector in the World tells a story and shows the reader how Dunn's concepts apply to the real world. This isn't a sales manual--it's a story. A story about a man who took some basic principles from one profession--rooted out the life lessons behind them--and applied them to other aspects of his life. Readers won't find Laura's story dull. Within the first few pages of the book, the author had my interest. I liked Laura. I wanted to know where life would take her. I wanted to know what Uncle Joe could teach her. I found myself learning some things with her--and reflecting on some things I knew--but, took for granted. 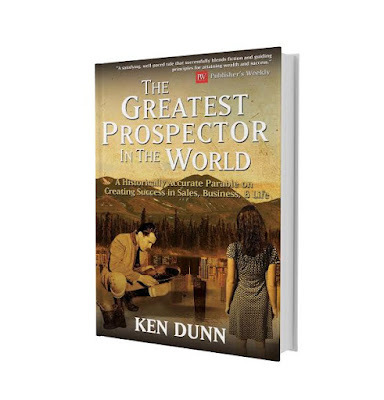 Would I recommend The Greatest Prospector in the World by Ken Dunn? I enjoyed the historical perspectives of the book. I enjoyed learning (or revisiting) some business and sales principles through Laura's eyes--in her world. This book is a unique read for sales professionals and entrepreneurs. Readers will learn something--without feeling preached to or even really taught. The author is sharing six "secrets" to sales success--but, those "secrets" are also important life skills as well. I think students, business professionals and fans of historical fiction will enjoy the simple, easy to read story. The story line and the lesson are perfectly suitable for middle school / young adult readers as an alternative to a dry "business" lesson.